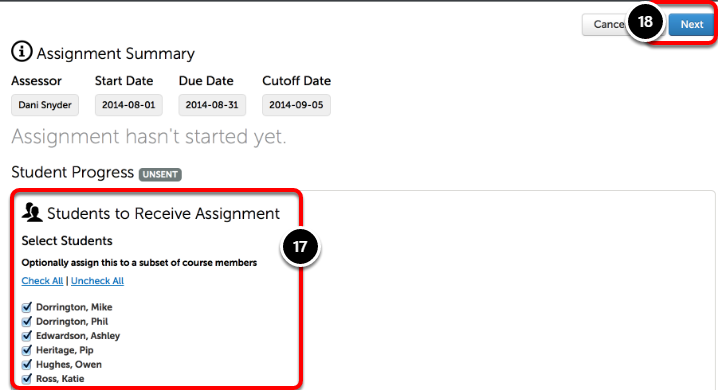 This lesson will teach you how to create a Collaborative Assignment. 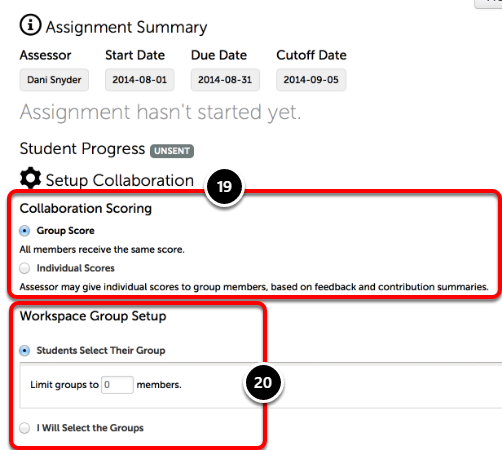 Collaborative Assignments are assigned to groups of users, so that multiple users can work simultaneously within the same assignment workspace environment. 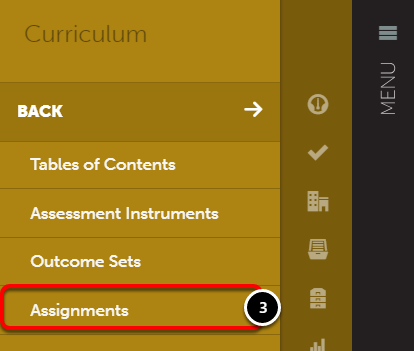 The submission of a collaborative assignment will automatically be sent to the assessor who created the assignment when the students click 'Submit'. 6. Select whether or not you would like to Collect Peer Feedback, and/or Student Can Rate Themselves. 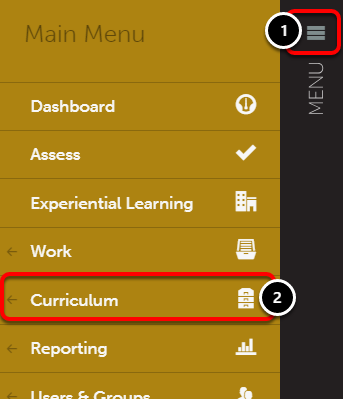 Collect Peer Feedback: This feature provides students with a new tab in the Workspace Portfolio where they are able to rate their peers based on contributions to the assignment. The students are never required to rate their peers, and if no rating is made the default score is 100. All peer ratings are anonymous. 7. Name the Assignment, and provide an optional Description. The description will be visible to the students. 12. 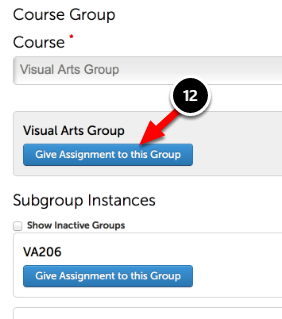 Locate the group or subgroup that you would like to give the assignment to, and click Give Assignment to this Group. 13. Select the assessor who will complete the assessments. 14. Optionally select the Start Date, Due Date, and Cutoff Date. 17. 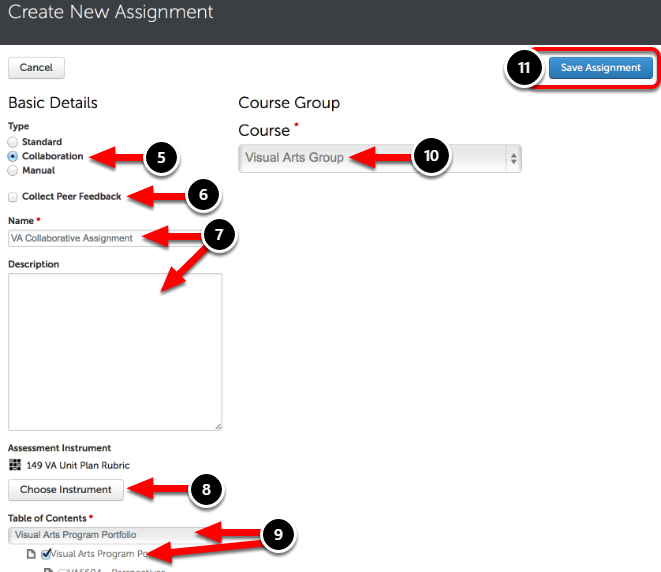 Select the Students to Receive Assignment. 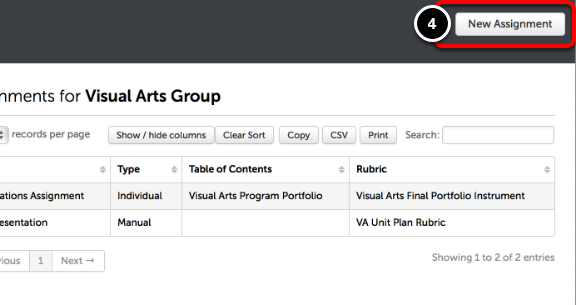 I Will Select Their Group: Enables the Assignment creator to select group sizes, and to "Generate Groups". If the creator is unhappy with the groups, they are able to edit them.